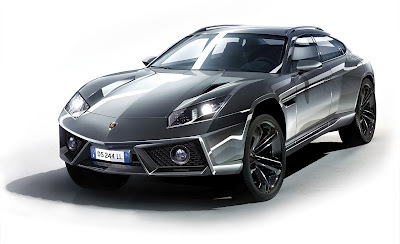 Porsche Cayenne was a real success, so I guess it was the time for Lamborghini to jump on sport-utility bandwagon. There are not many available details on Lamborghini SUV but I’m sure we can expect lots of lightweight carbon fiber and aluminum. Folks say this is the first family-friendly Lamborghini. 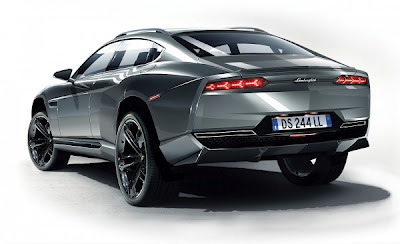 According to Italian journalists, we will first see the Lamborghini SUV as a concept, not in spring at Geneva Motor Show 2012 , but a little later in China at Beijing Auto Show 2012. The series would be launched at the end of 2014, with few aesthetic changes to the original concept. Compared to Cayenne, the Lamborghini SUV will be more sporty, under the hood is fitted the V12 engine them Aventador with an output of 700 hp, V10 engine options as the Gallardo or Audi R8 or even a turbocharged 500 hp V8, derived from the Audi S8. It is likely that Lamborghini SUV to feature hybrid propulsion, while sophisticated four-wheel drive is standard on all versions.